Carver's Photographic Journey: The Weekend in Black and White: Turn your back on me and I'll turn my back on you . . . The Weekend in Black and White: Turn your back on me and I'll turn my back on you . . .
HA! Thanks for making me laugh, Carver! Oh I love this! Perfect photo! Great shot of these cool birds! Funny little things :) Great shot! Great contribution to the b&w theme! Looks like trouble in paradise…so funny! I can see that this argument is still tangled up in the drama of silence and "no speak". Hilarious moment. Great shot, Carver. 'Perfect' moment. Such a great capture. 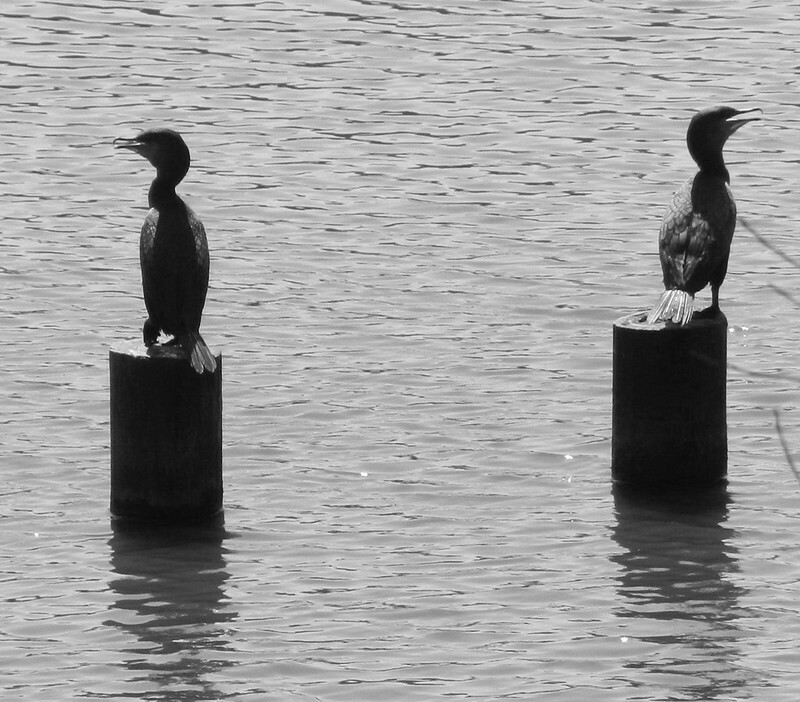 Cormorants can look so funny. Beautiful photo in B&W! I love it!